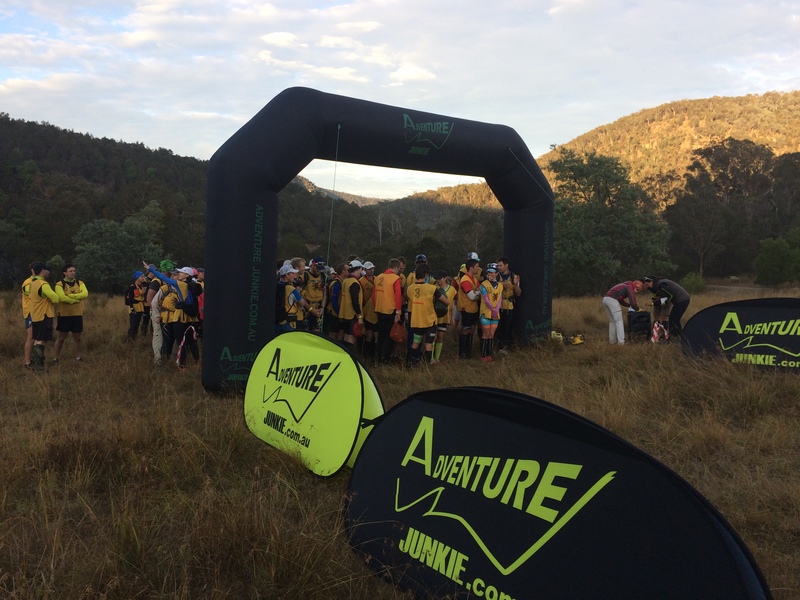 So after a successful launch in 2017, the Adventure 1 series turns its eye towards an even bigger and better 2018. Last year saw the series encompass four races across the Australian eastern seaboard, crowning team Thunderbolt as runaway winners, with Peak Adventure and the BMX Bandits rounding out the podium. In that time, the series has seen an increase in participant uptake of races, expanded to New Zealand (with a close partnership with GODZone and further plans of expansion) and one race has left the series with the Rogue Raid, now in its ninth year, stepping in to fill the gap. All indications are pointing towards a very healthy future for adventure racing. With all that as a backdrop, let’s turn our attention to the first race of the series, X-Marathon, and a look at the team line up. 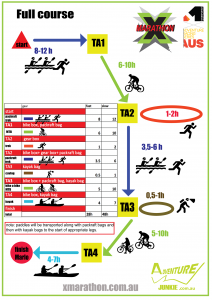 The 2018 X-Marathon course logistics. 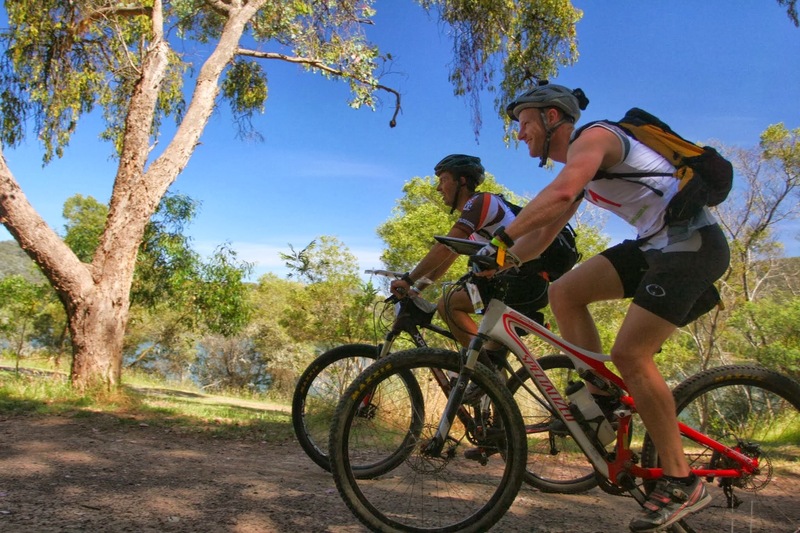 Launching in 2011, X-Marathon will host its seventh edition from the Victorian coastal town of Marlo. Expanding from the original 24 hour race into a fully supported 48 hour race in 2016, event organisers Serge and Maria are known for putting on a racer’s race: super challenging courses with logical flow through the stages in picturesque locations. They don’t pull any punches though with the race being a true test of a team’s ability in the core AR skills. Any team looking for a strong showing in the A1 points series will be looking to get off to a good start in January. A look through the team list sees the return of the top three A1 teams from 2017 with Thunderbolt, Peak Adventure and BMX Bandits. However, when looking at predictions for this year’s race, it’s important to note that the Peak Adventure line up is significantly different from their 2017 team. Also, despite finishing third in the series last year, Gary Sutherland’s team typically had the better of the BMX Bandits in any race they came up against each other in a head-to-head match. 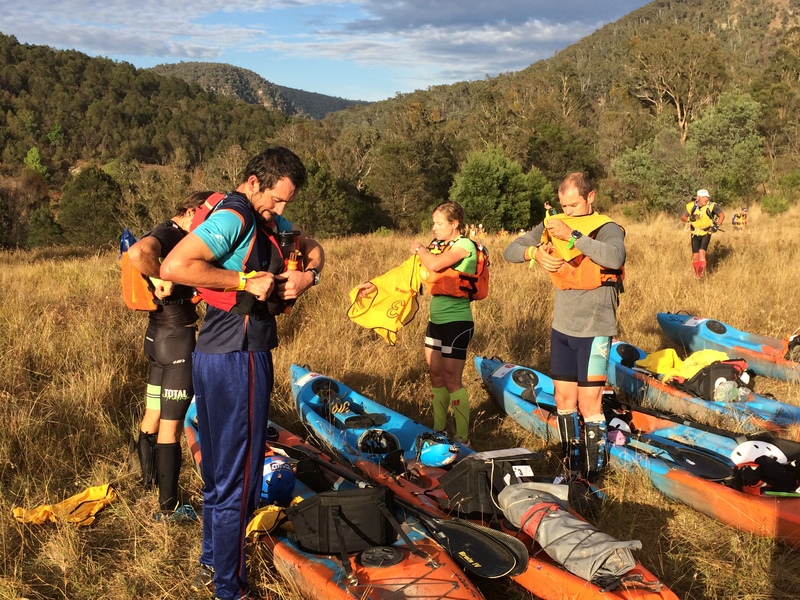 Furthermore, 2016 X-marathon winners Dave Schloss and the Prestons have a team entered under the name Explore Gippsland. 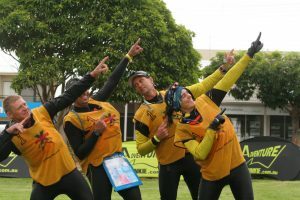 Team Thunderbolt winning X-Marathon in 2017. As such, in making podium predictions, I would be looking at Thunderbolt, Explore Gippsland and Wild Earth/Tiger Adventure to be battling it out at the pointy end. It might be easy to lock in Thunderbolt as on paper favourites, however my pick for the win would be Explore Gippsland. The team has form in this race, new recruit Tim Boote is going from strength to strength and has a ton of local knowledge and the team know how to race fast and win. Both Leo and Bern from Thunderbolt will be “fresh” from Red Bull Defiance less than a week prior which might also play a factor, however I suspect this won’t affect the team’s speed as much as they are protesting. Explore Gippsland do have their own minor injury concerns, which opens up the door for Wild Earth/Tiger Adventure. The Wild Earth team have the speed and experience to come out hard and don’t be surprised to see them run as a dark horse for the top step of the podium. Team Rogue at the 2013 X-Marathon. Behind these three teams, there are a swag of top quality teams capable of racing strongly and perhaps upsetting the apple cart. Of course, there is the aforementioned BMX Bandits, our very own Rogue Adventure, the Peak Adventure teams, Peaky Blinders and Wild Flow Tiger Adventure (not to be confused with Wild Earth Tiger Adventure, Wild & Co Tiger Adventure or Wild Tiger Adventure – apparently there aren’t any domesticated Tiger Adventure teams which makes things all a bit confusing). All of these teams have top racing pedigree and shouldn’t be discounted for a top result. Indeed, the depth across the 21 full-course, premier-mixed teams will ensure competitive racing throughout the field with every place on the leader board hard earned. Peak Adventure at the 2017 X-Marathon. Actually, now that I look back over that list, there are so many quality teams that I can’t fit into a top 10, and calling any sort of order is really just a shake of the dice – it’s going to be exciting to see how it plays out. Let us know your thoughts – what’s your call on a top 10? 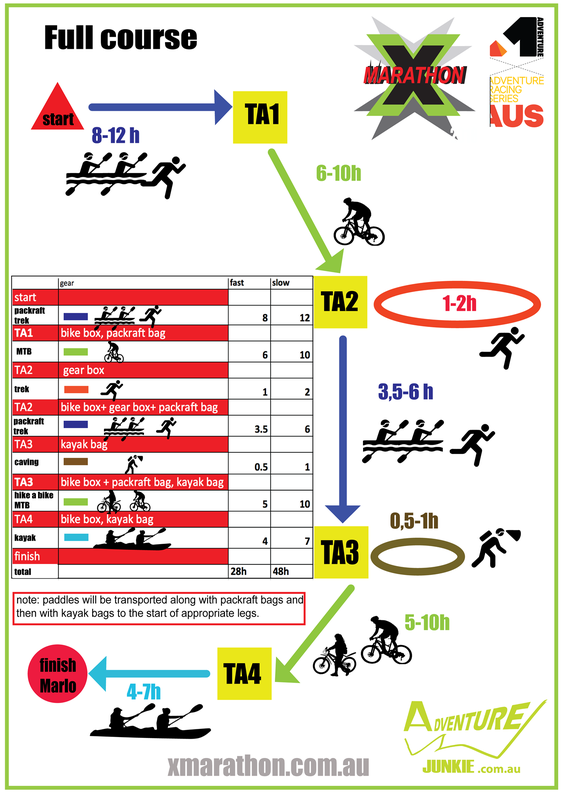 With the bulk of the teams entered in the premier mixed full course category, competition is light in the other categories. Assuming they can cross the finish line, Tiger Misadventure would appear to have it in the bag in the all female category and Pretty Flash are a bet you can take to the bank in the all male category. Unfortunately I don’t know enough about the half course teams to make a call on who to watch for, but it’s great to see some QLD racers making the long haul for the event. One thing for certain is that the X-Marathon course will deliver a spectacular challenge exploring some great Australian back country. I’m excited for team Rogue to have some skin in the game, not only through hosting the Rogue Raid in May but also as competitors in the series (you can read more about our team plan line up here). Good luck to all the teams in their final preparation and I look forward to seeing you on the start line soon. Now, I’m off to see if I can fit two packrafts into my carry on luggage….